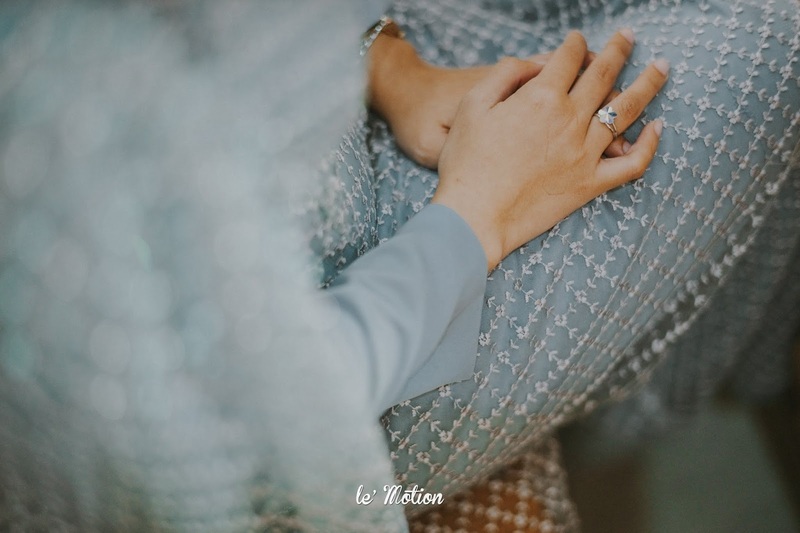 Not everyone believes in the idea of soulmates. 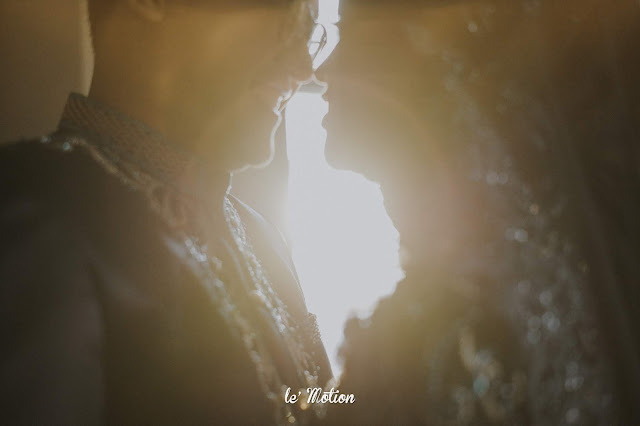 And we totally get it. In a world with 7 billion people, you might be wondering how will you know where or when you’d cross paths with your other half? 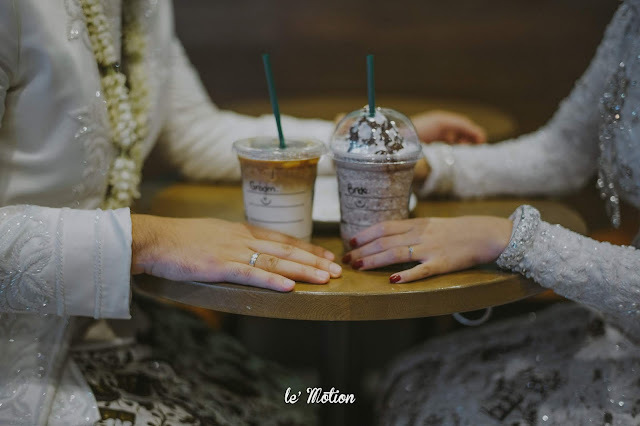 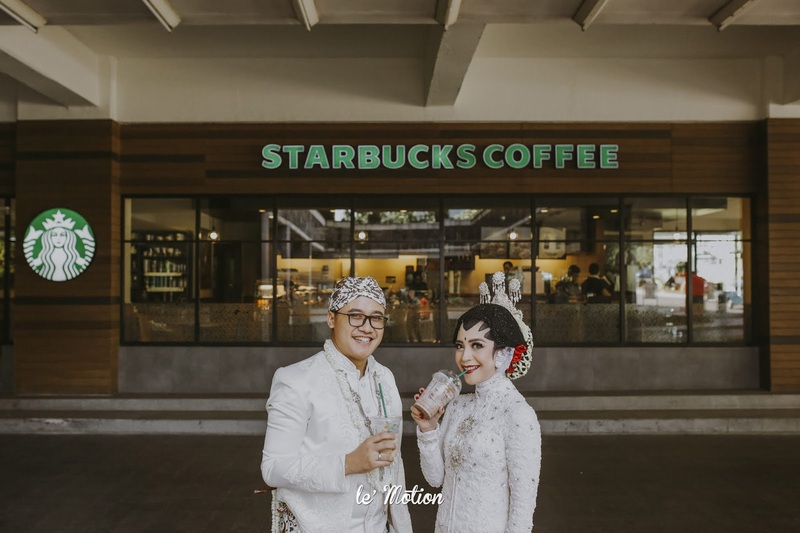 Who would know that one day as you stop by at a coffee shop, the universe will bring you together to meet your perfect match and change your life forever, like Ita & Arif? 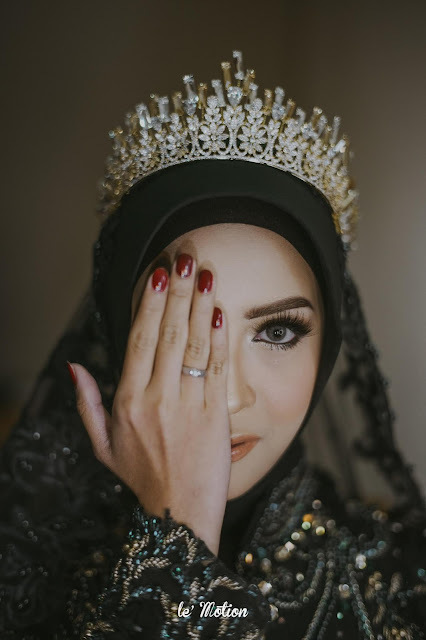 Some of you, again, may think that its rather an old coincidence. 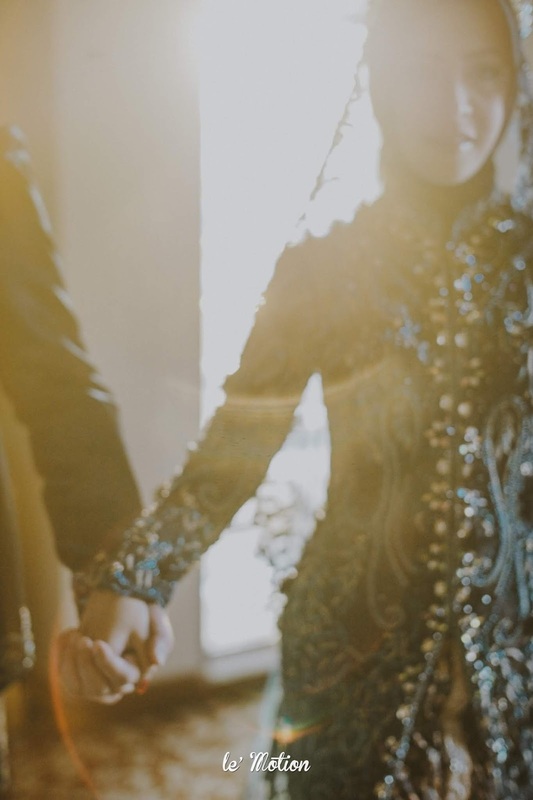 But maybe it was fate. 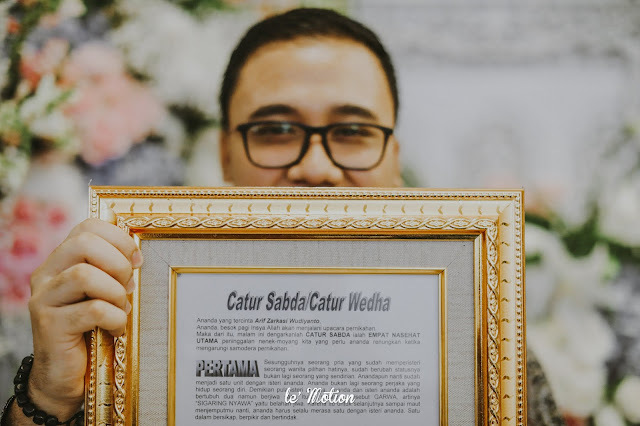 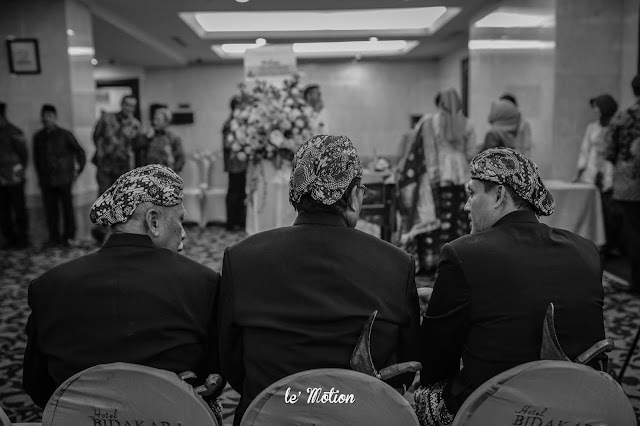 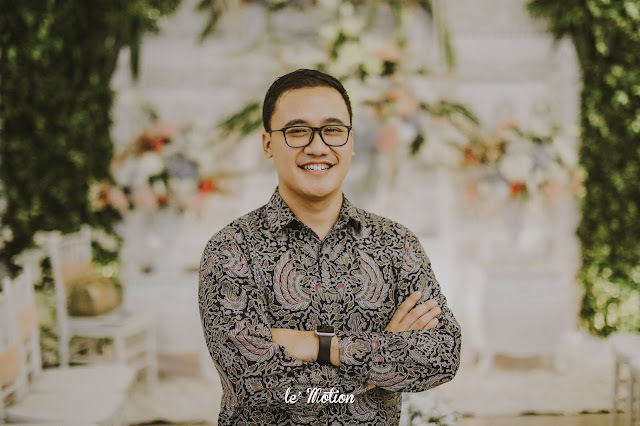 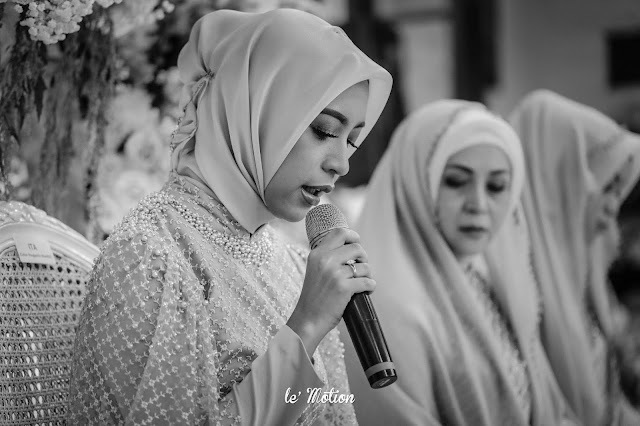 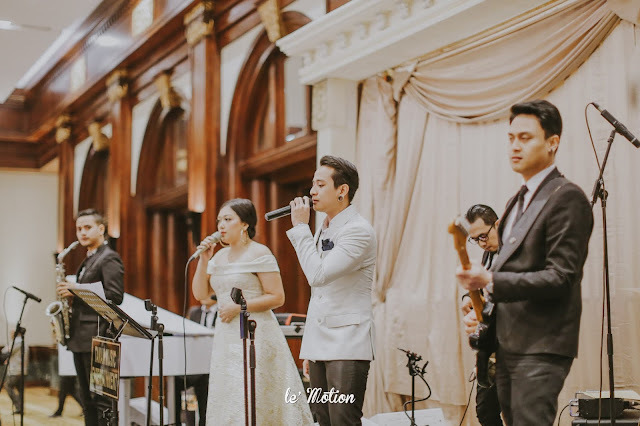 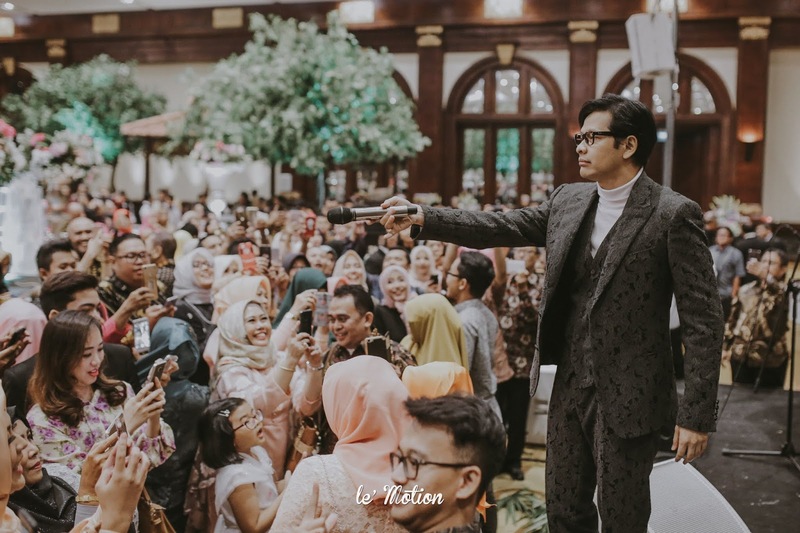 Now we're bringing you closer to the highlights of the wedding of Ita & Arif with 5 main processional order: Pengajian, Siraman, Midodareni, Akad, and Reception. 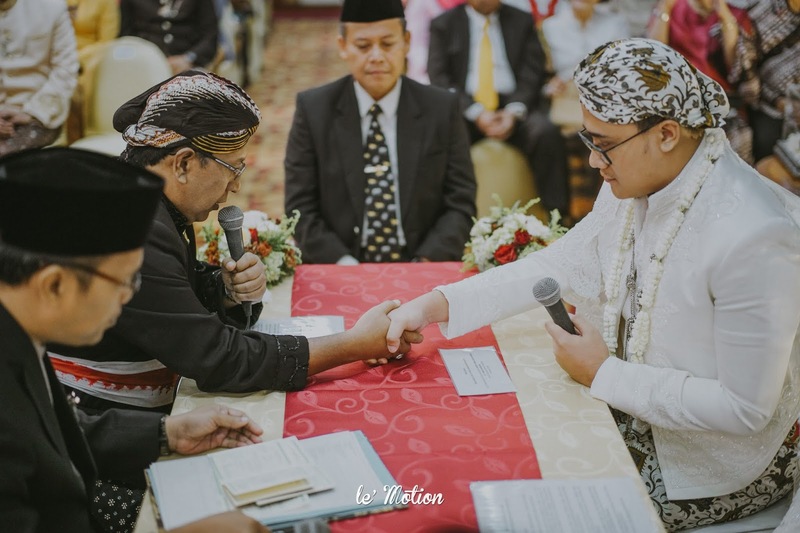 Pengajian (Holy Quran recitation), Siraman, and Midodareni took place on the same day in sequence. Firstly, Ita and her families recited some verses from the Holy Quran for the purpose of getting blessings from Allah Almighty to ease the process of the wedding day later. 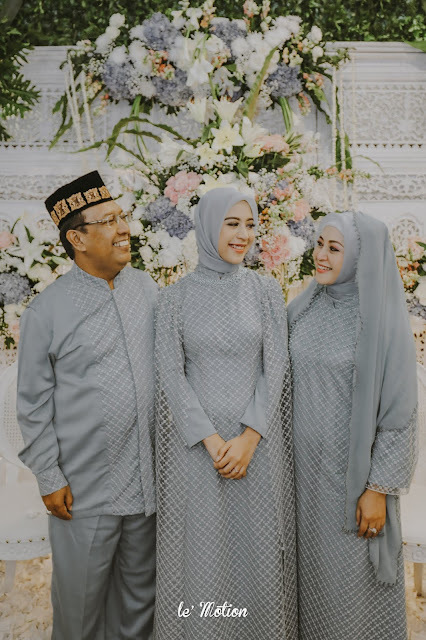 Ita also asked for her parents' forgiveness in order to open the door for her and everyone to experience true joy and peace onwards. 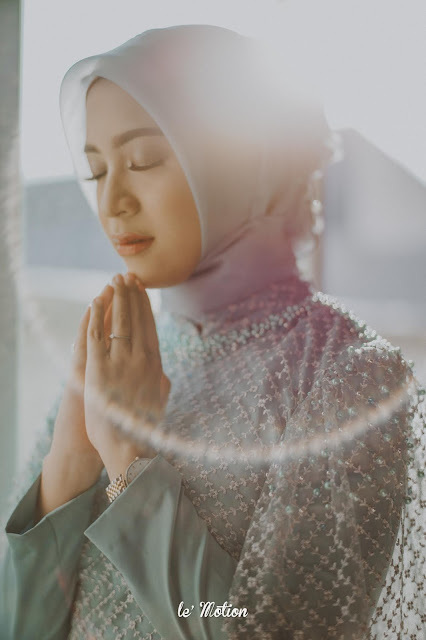 One thing we love so much about the Pengajian was how everyone dressed in sky blue outfits, which somehow enhanced the spiritual serenity and tranquility throughout the session. 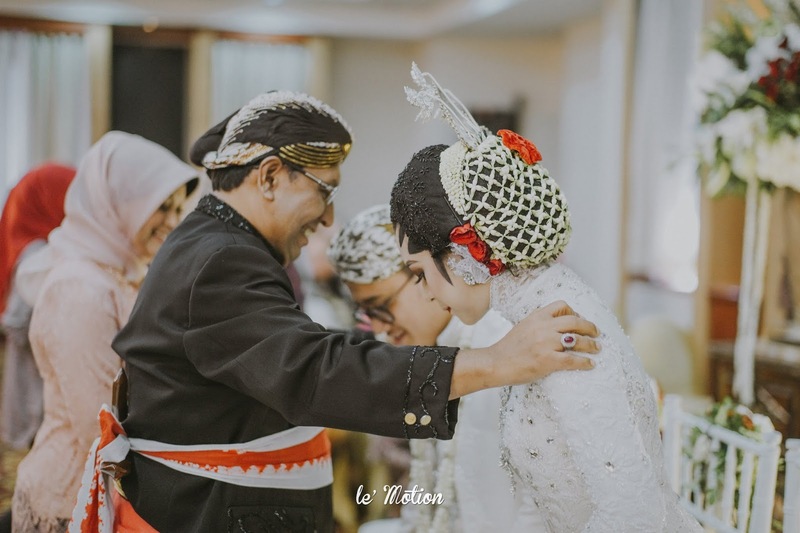 Following the Pengajian, Ita proceeds with Siraman and Midodareni. 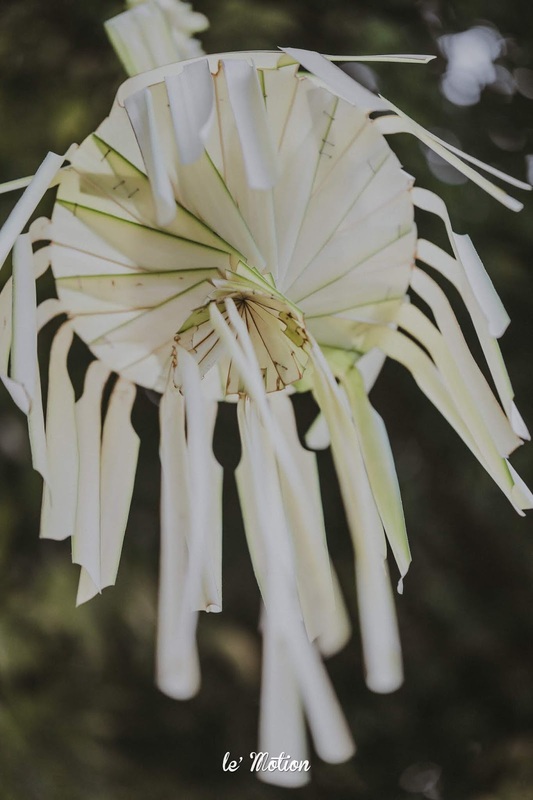 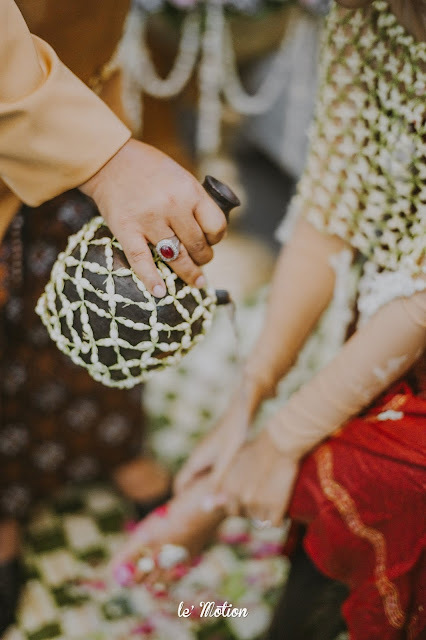 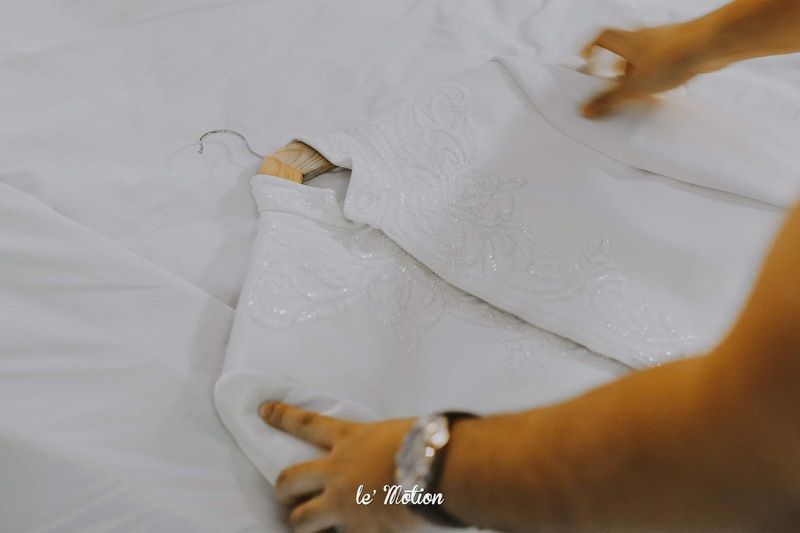 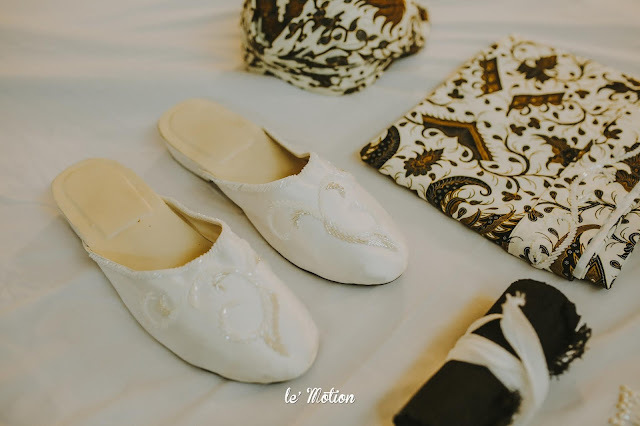 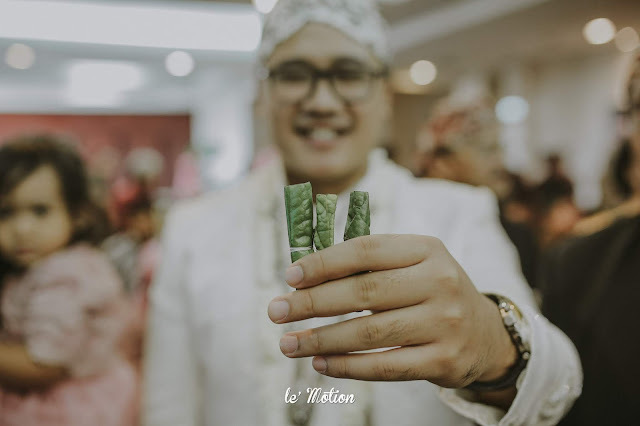 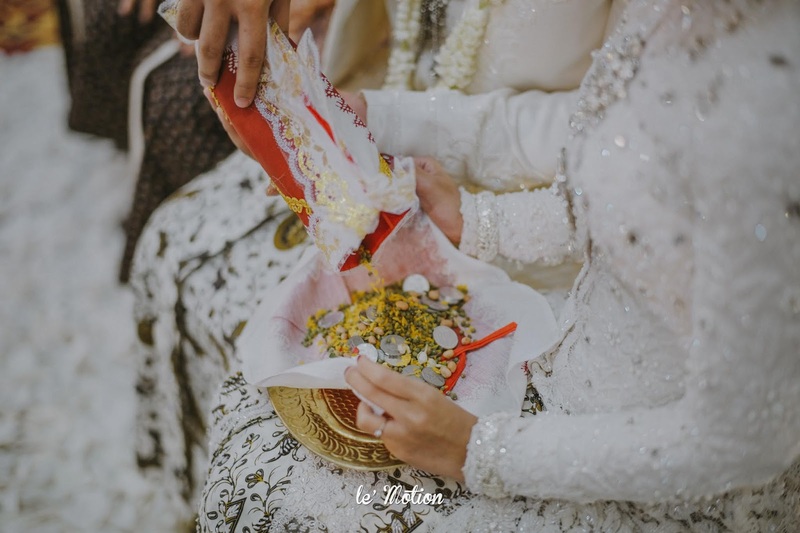 We're pretty sure everyone are already so familiar with this Javanese cultural thing as part of the traditional wedding rituals, so we won't go into so much detail about it this time. 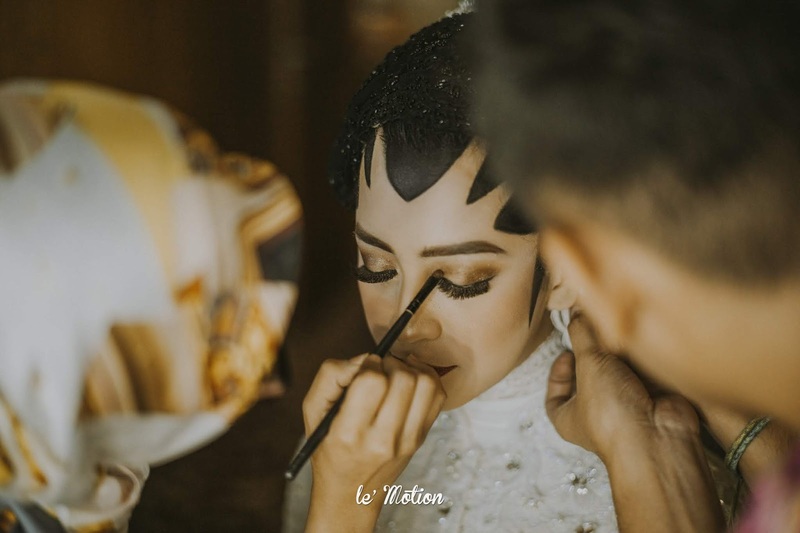 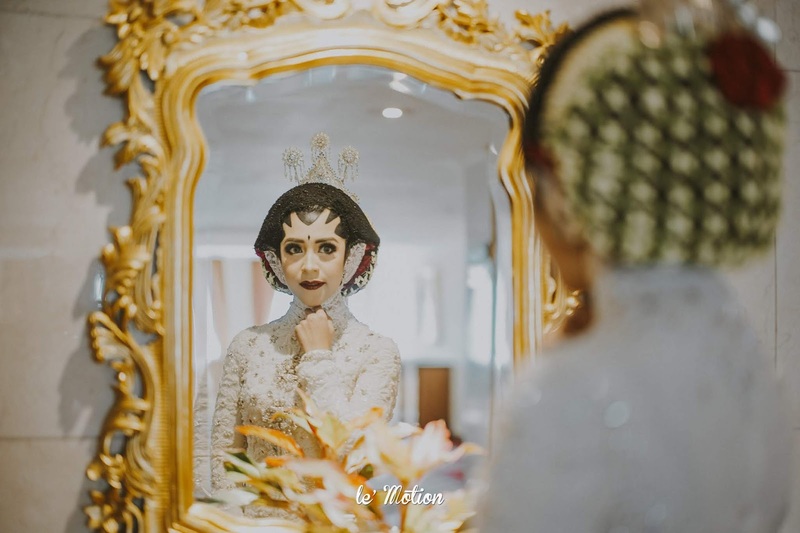 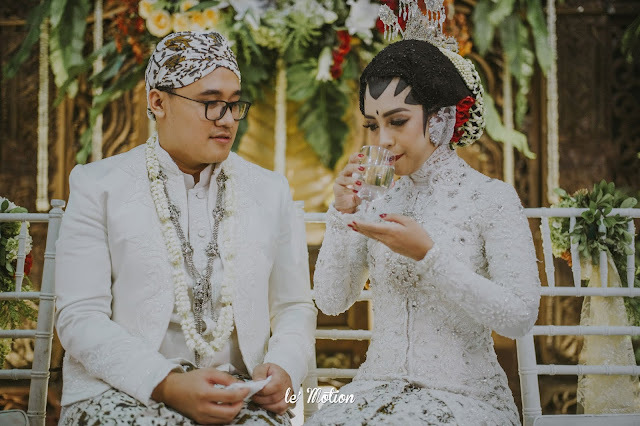 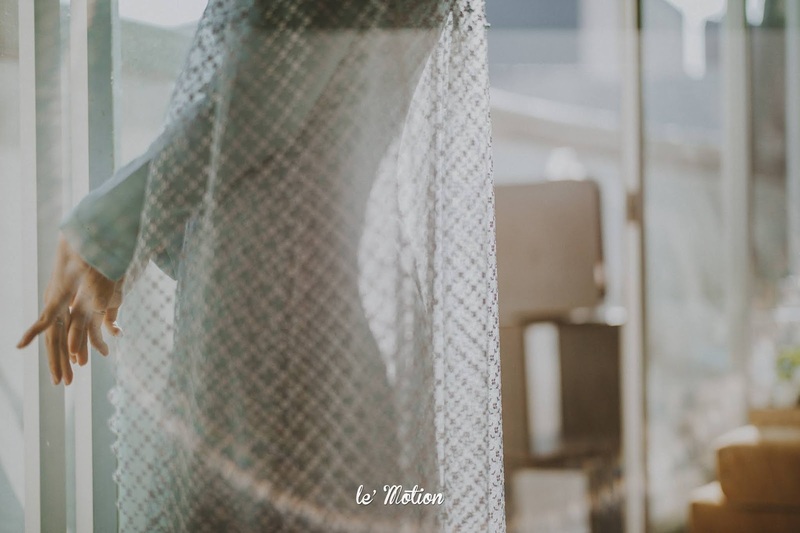 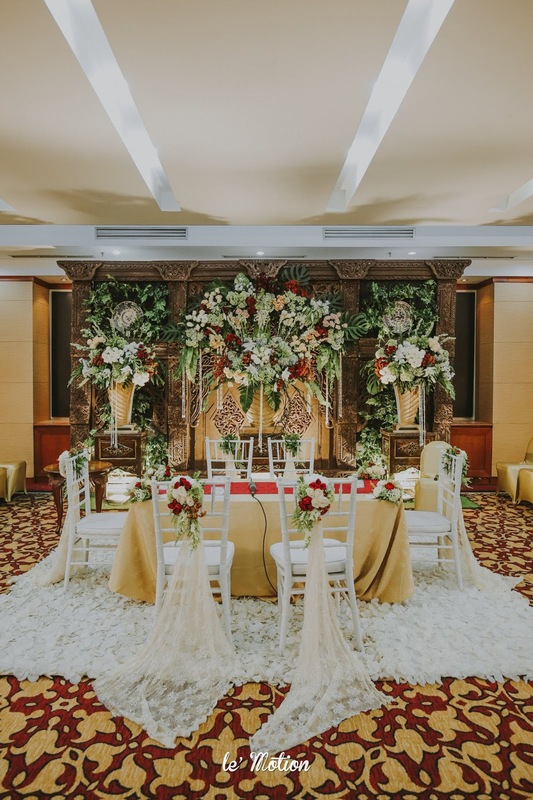 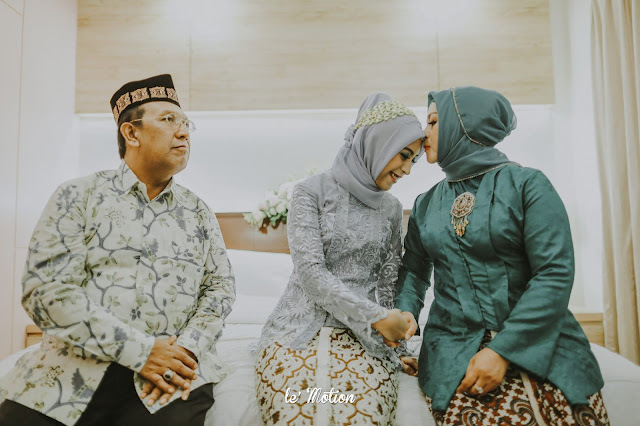 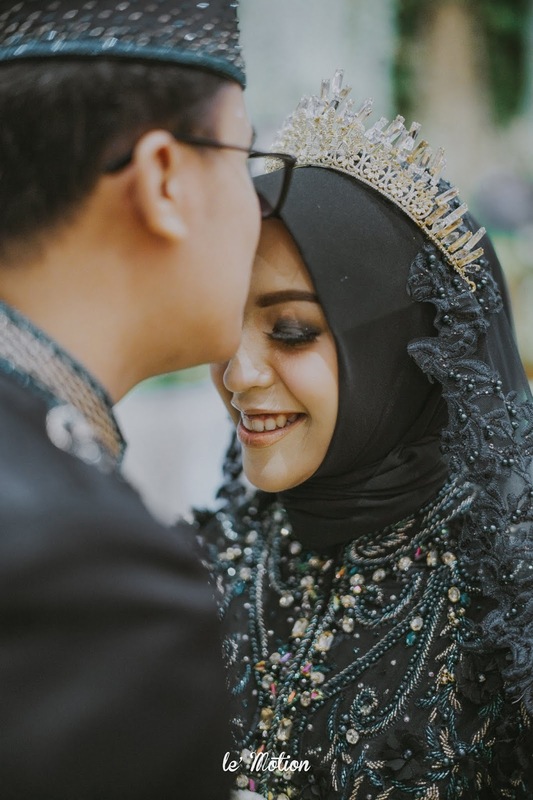 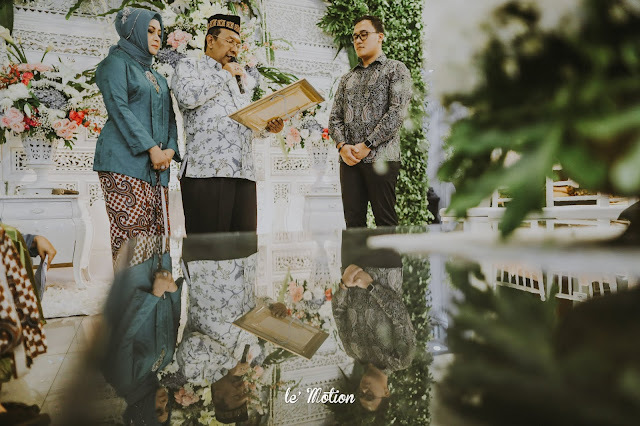 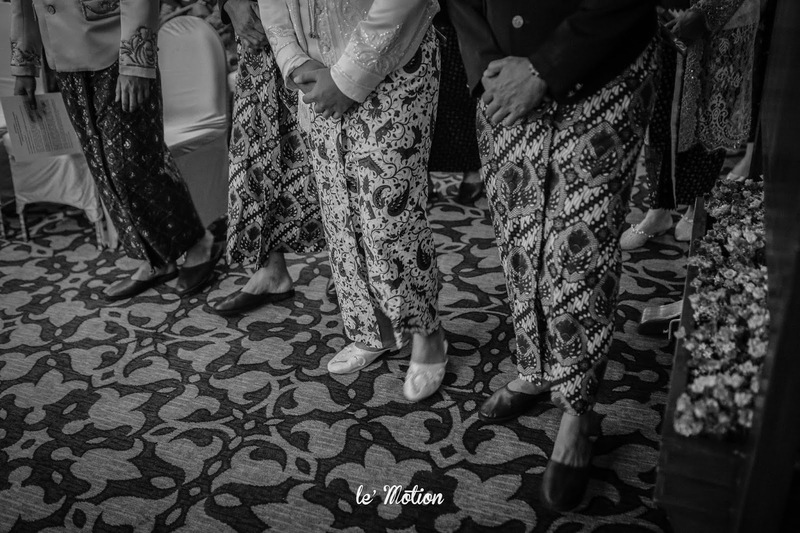 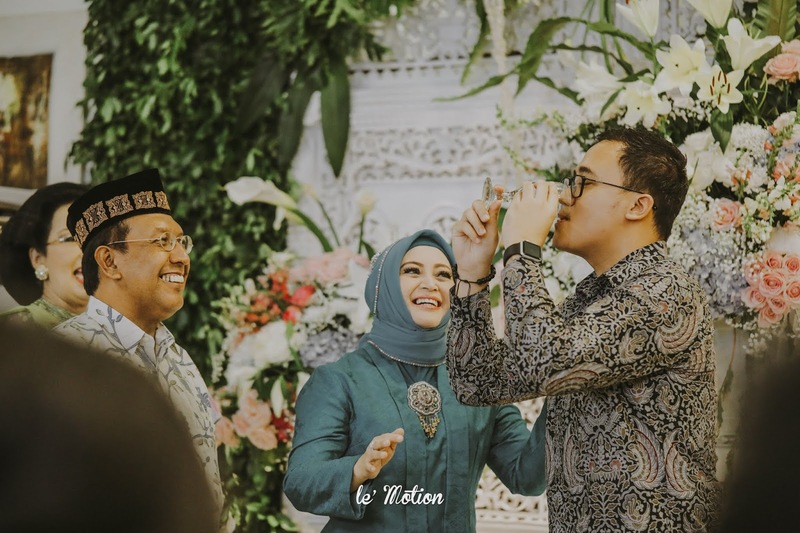 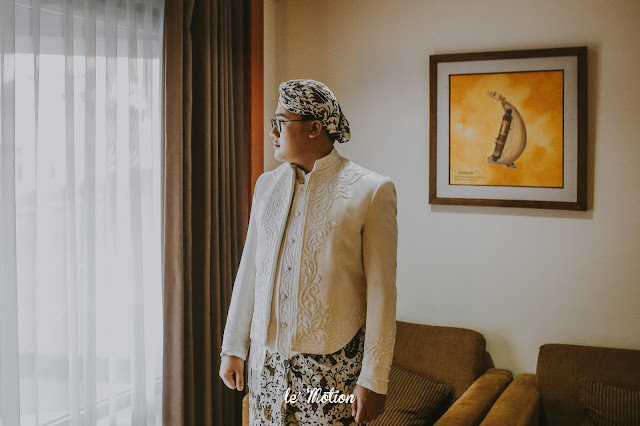 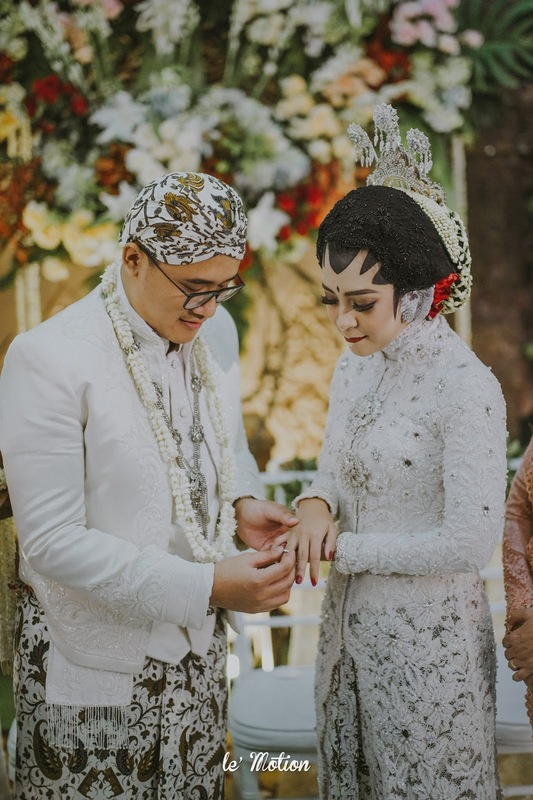 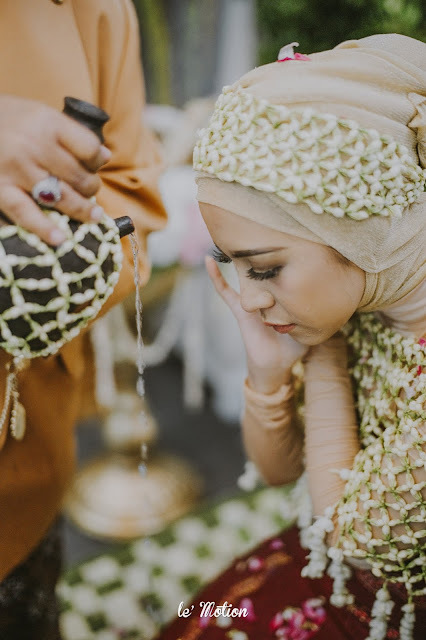 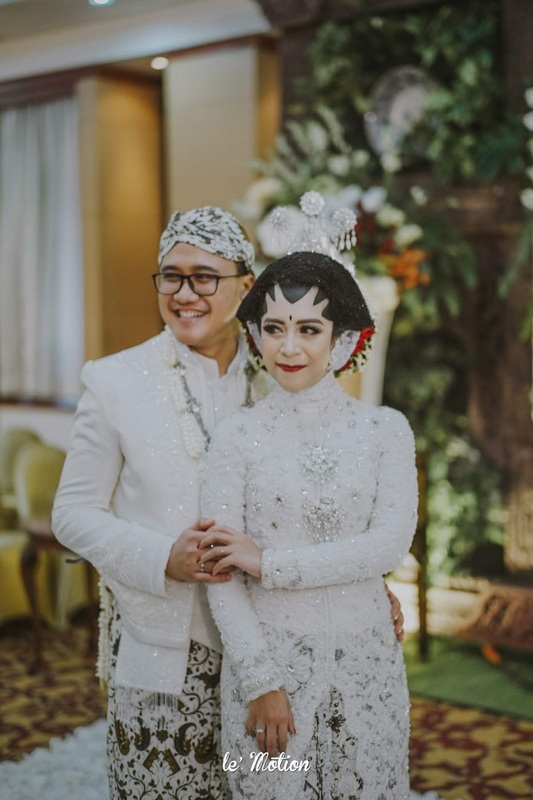 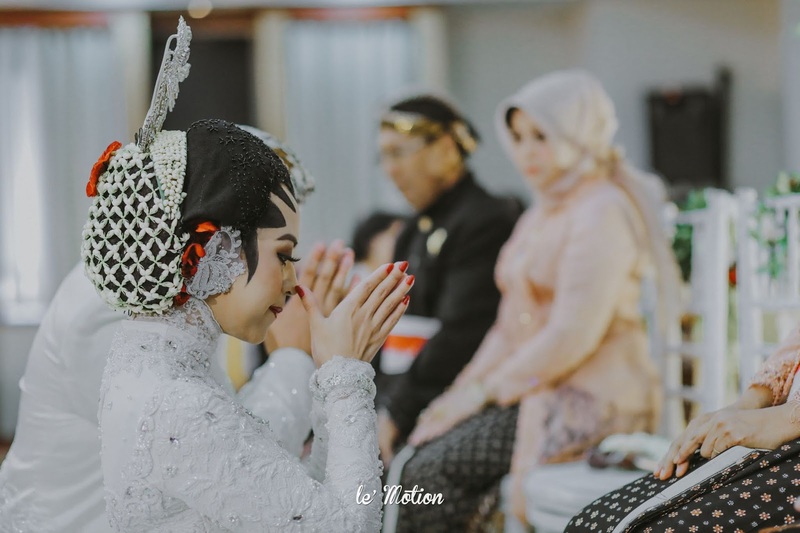 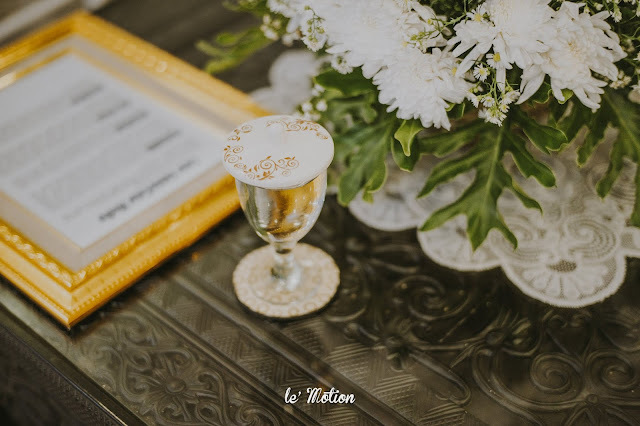 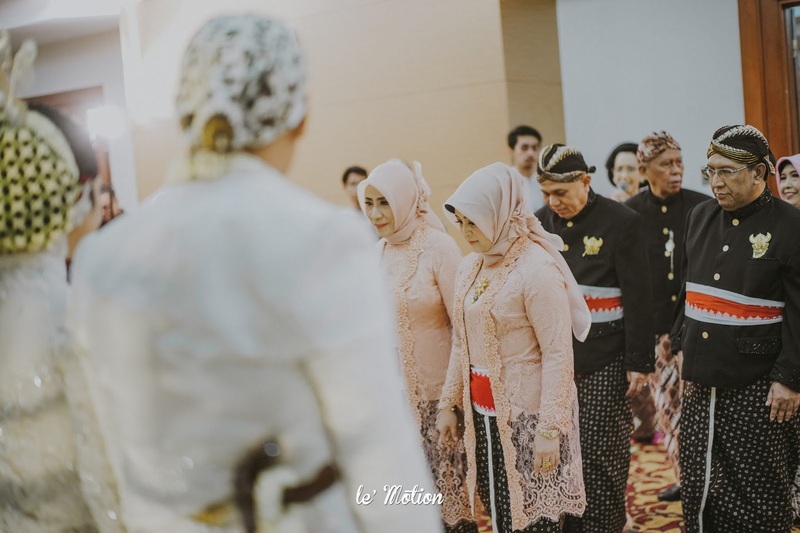 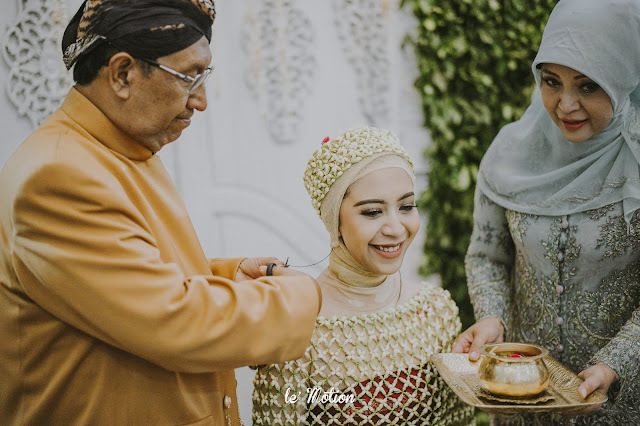 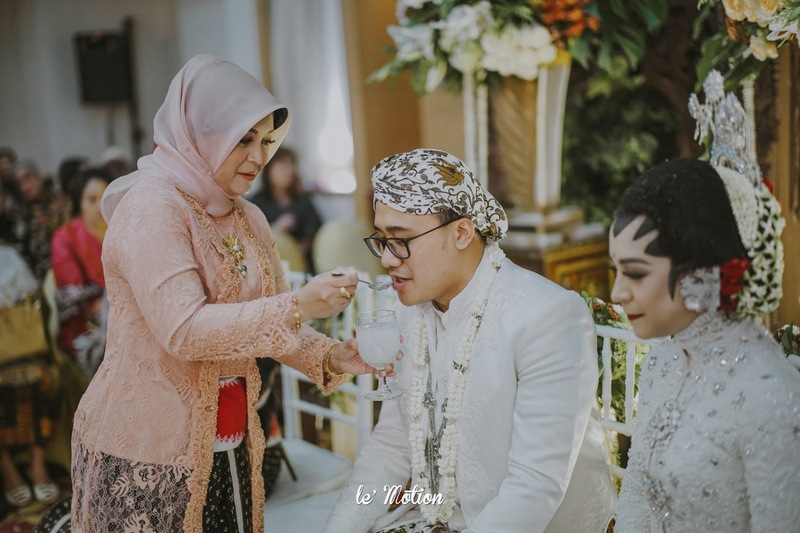 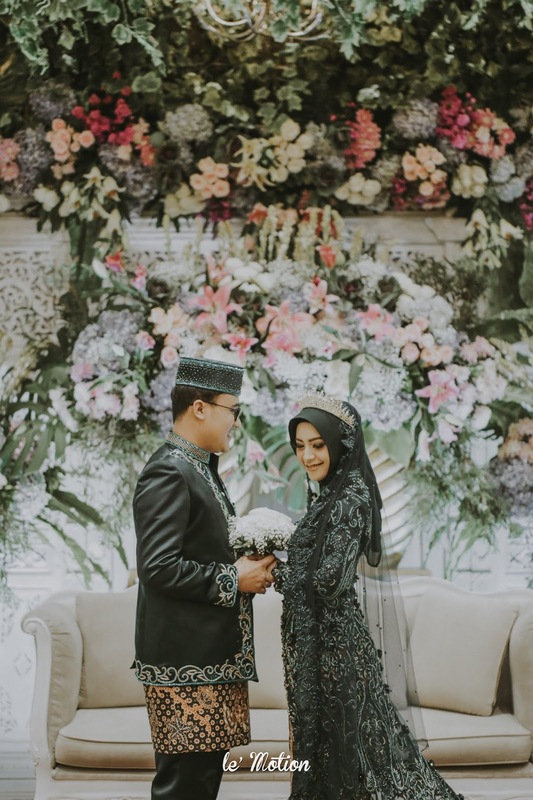 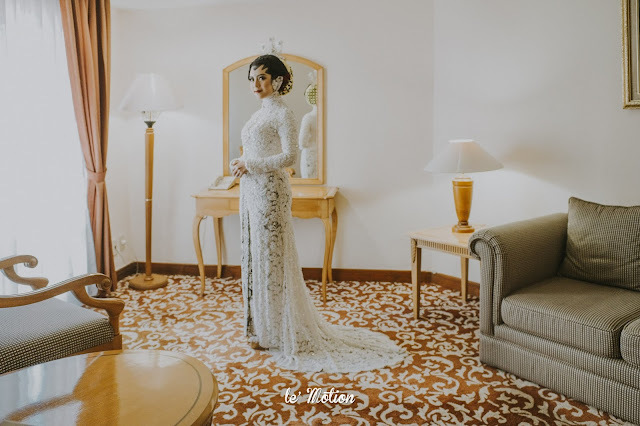 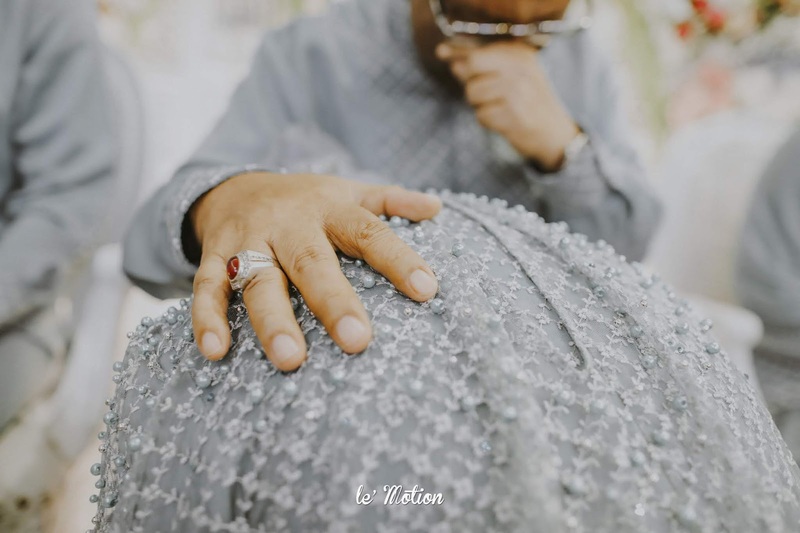 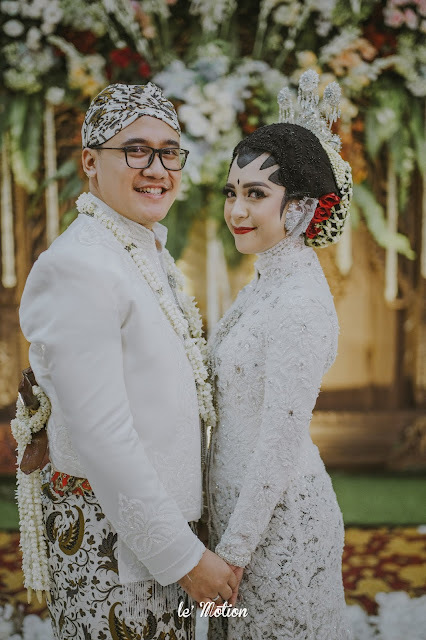 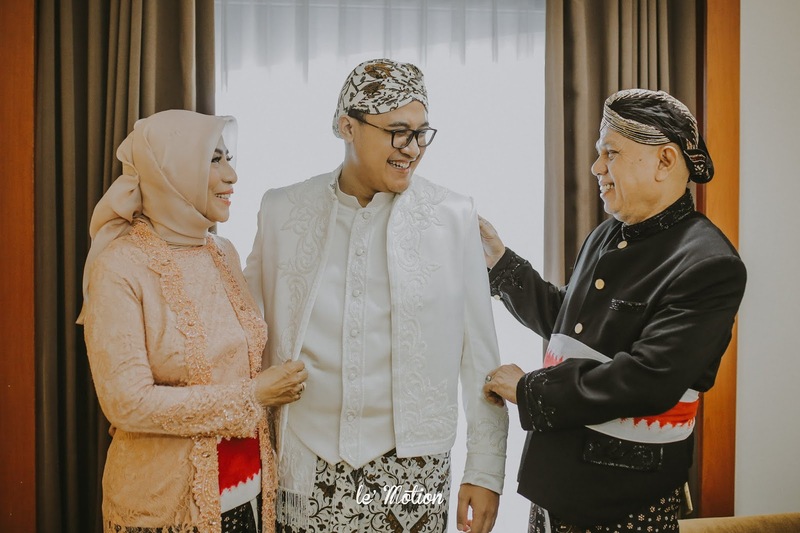 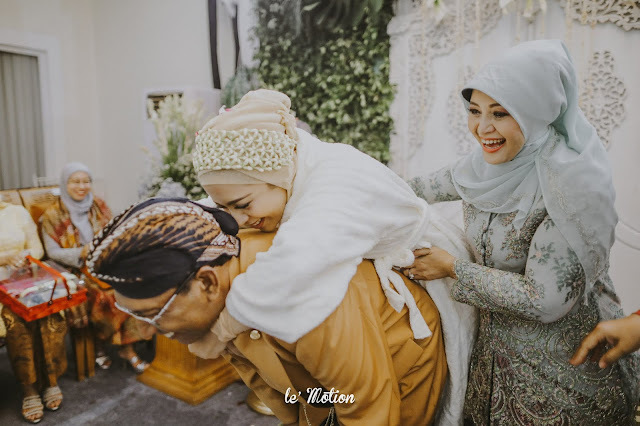 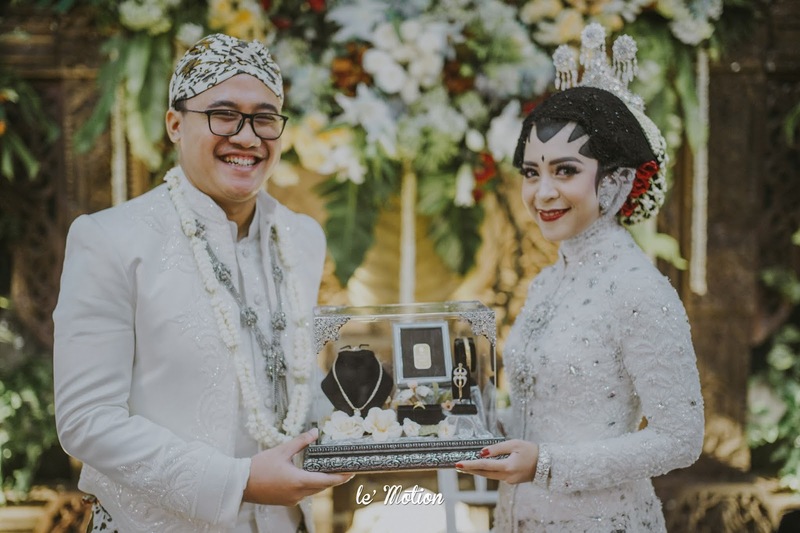 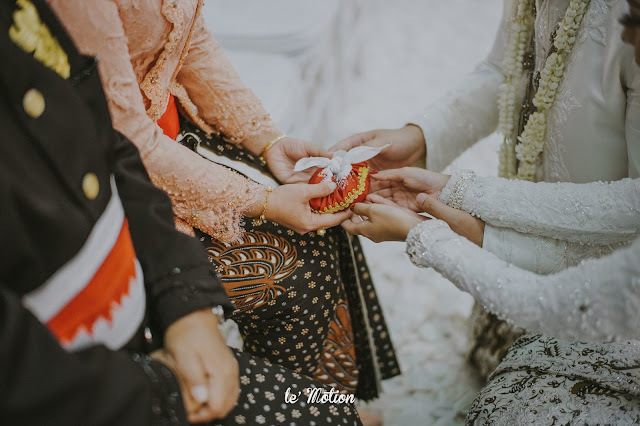 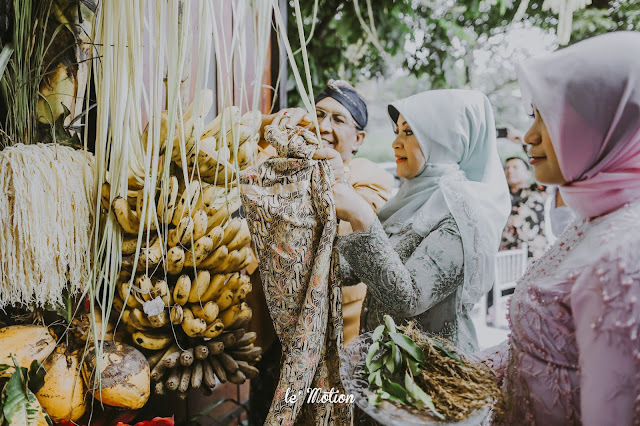 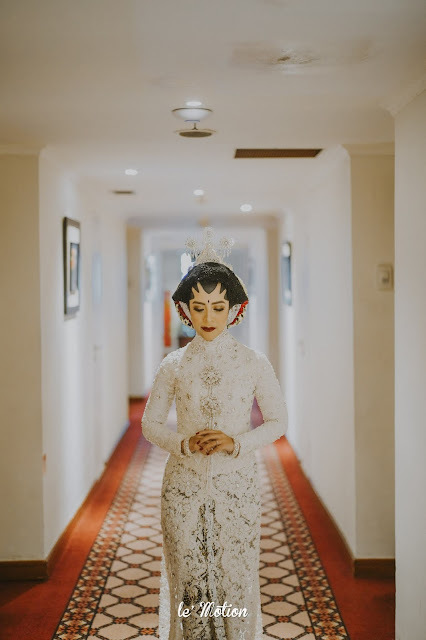 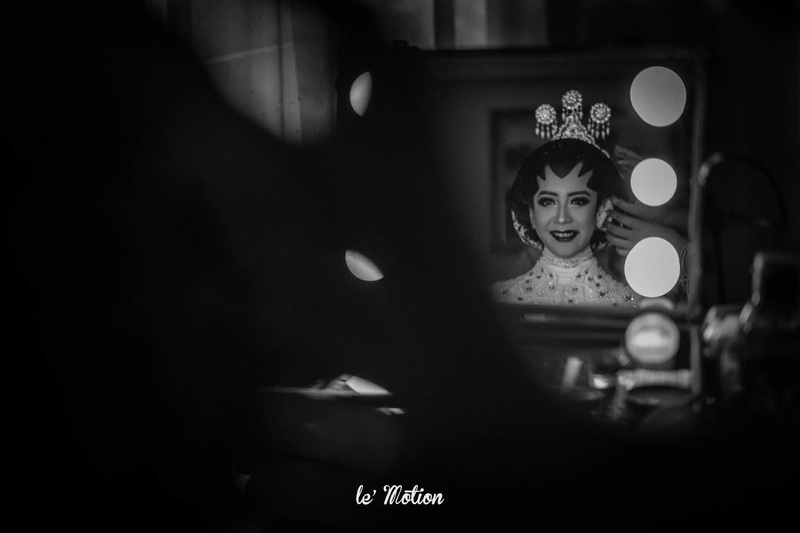 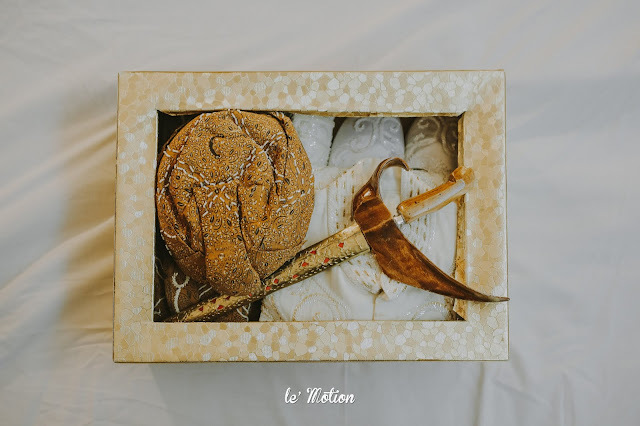 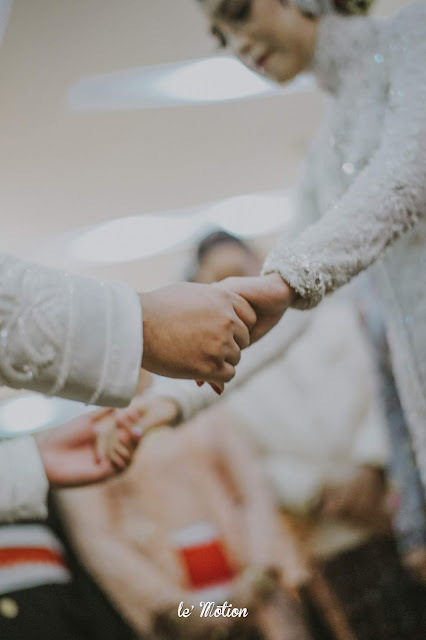 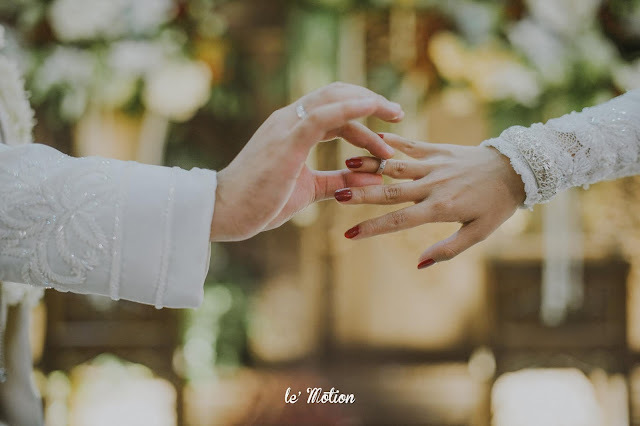 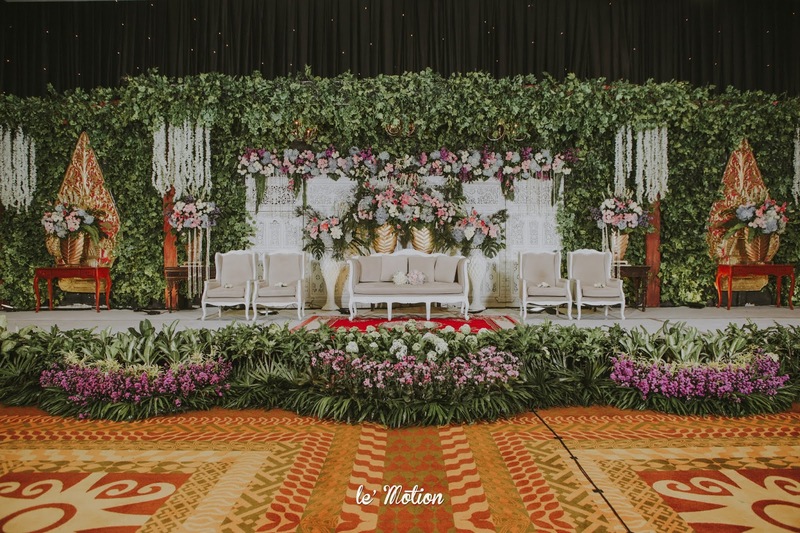 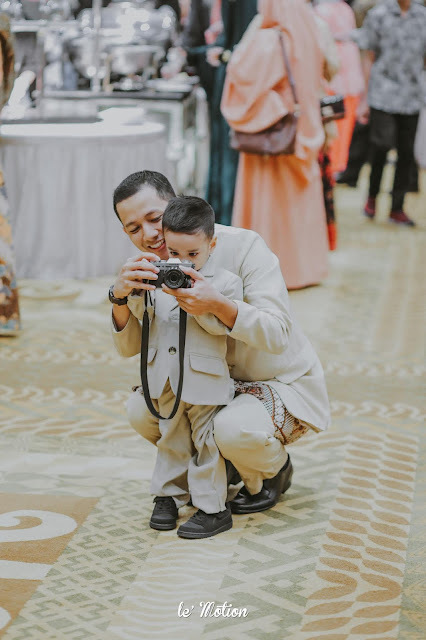 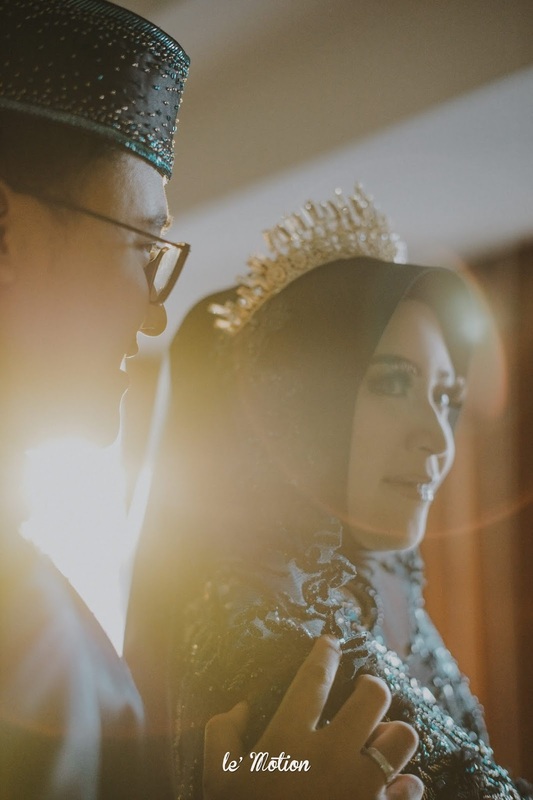 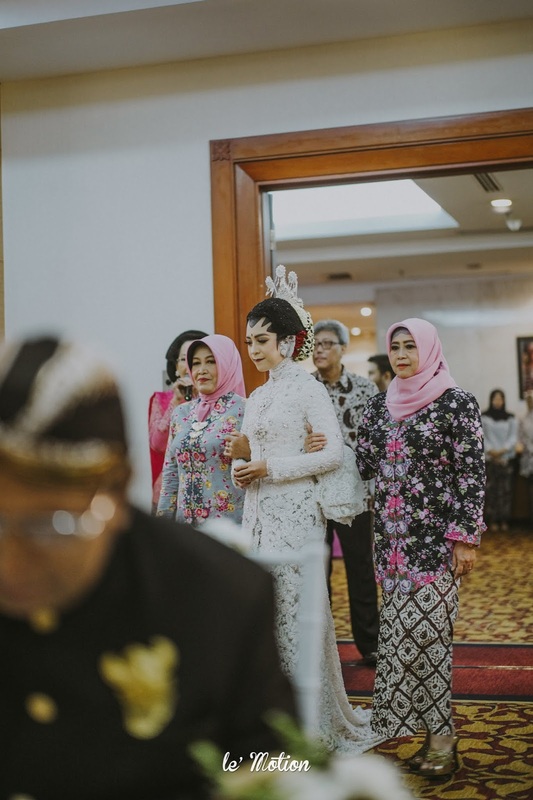 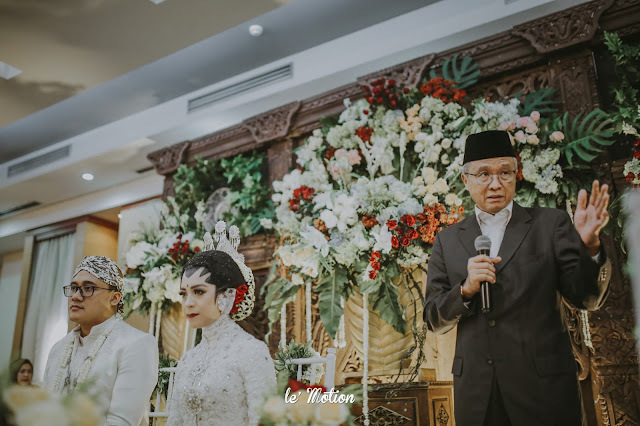 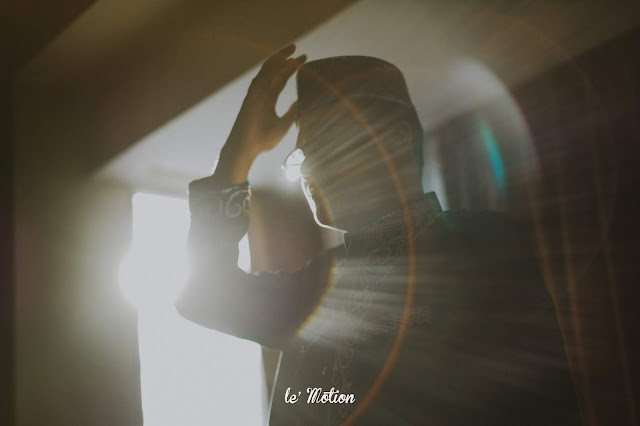 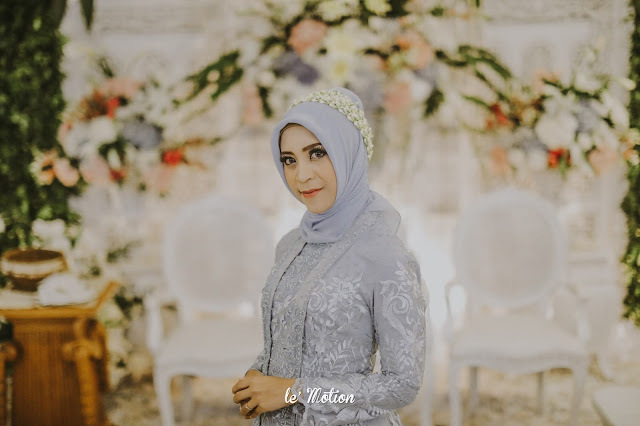 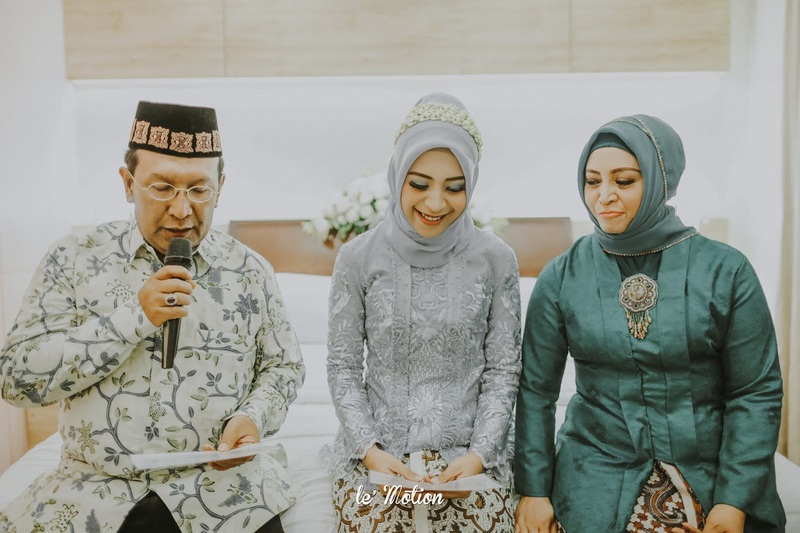 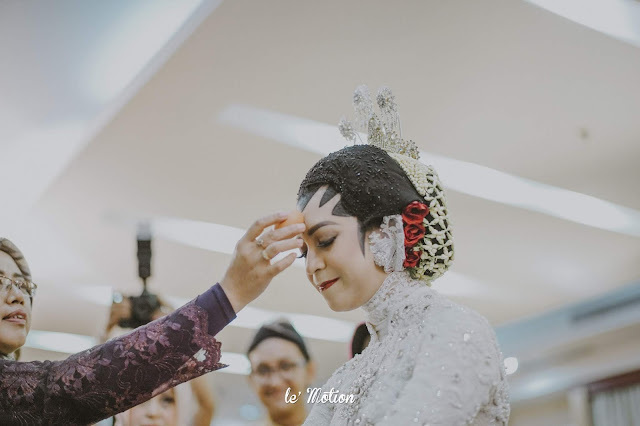 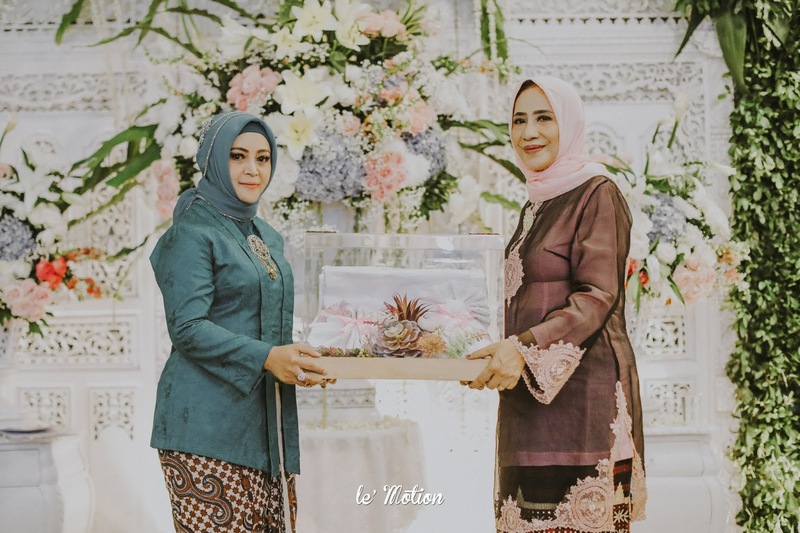 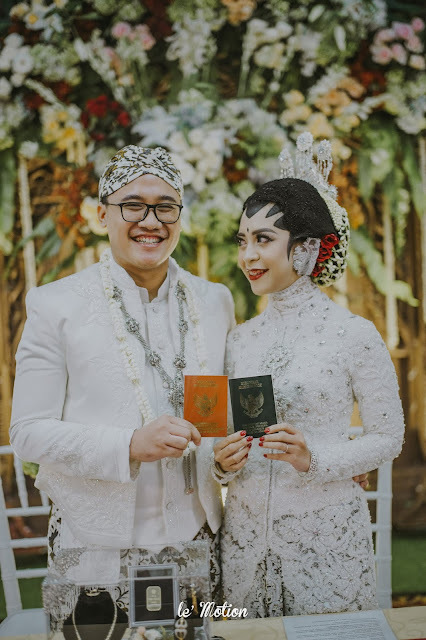 Moving on to the wedding day, Ita & Arif decided to stick to the traditional values, adopting the Javanese wedding traditions into their ceremony. 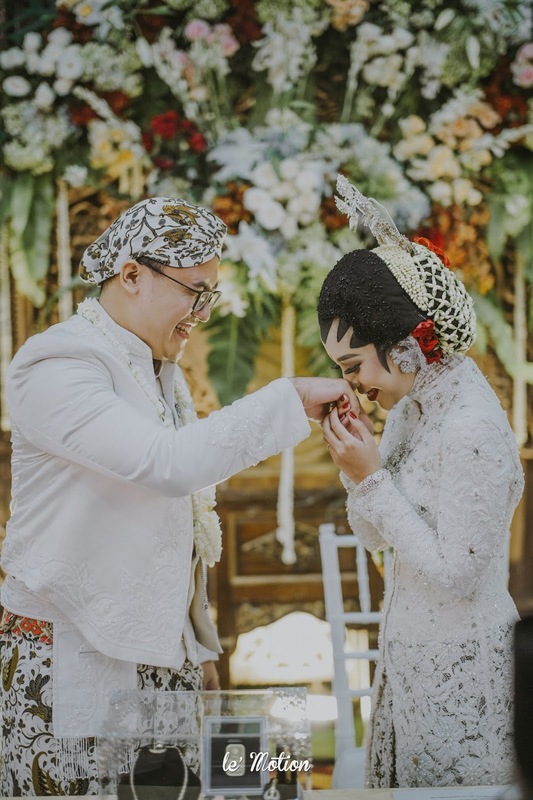 After the vows are spoken and the rings are exchanged, the newlyweds carried on another short series of post-wedding processions, including Panggih and Sungkeman. 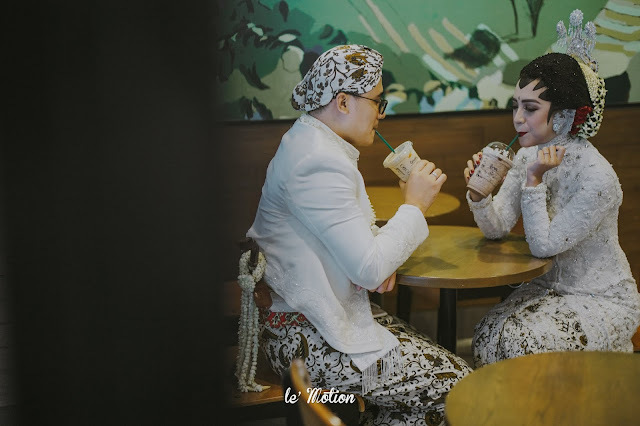 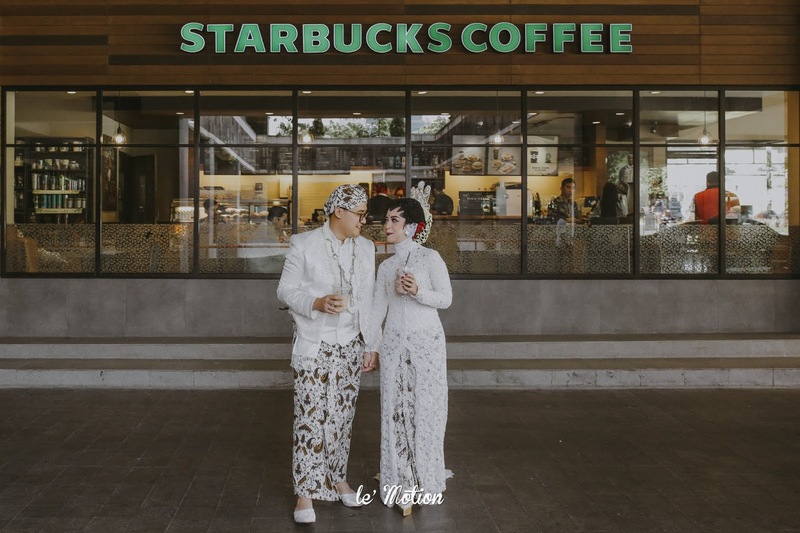 Now we'll tell you the most fun and heart-warming part of the big day: Ita & Arif, still in their wedding attire, went sneaking away for a little alone time just to grab a coffee to reminisce on the first day they met each other, when their eyes meet for the first time and the spark begins. 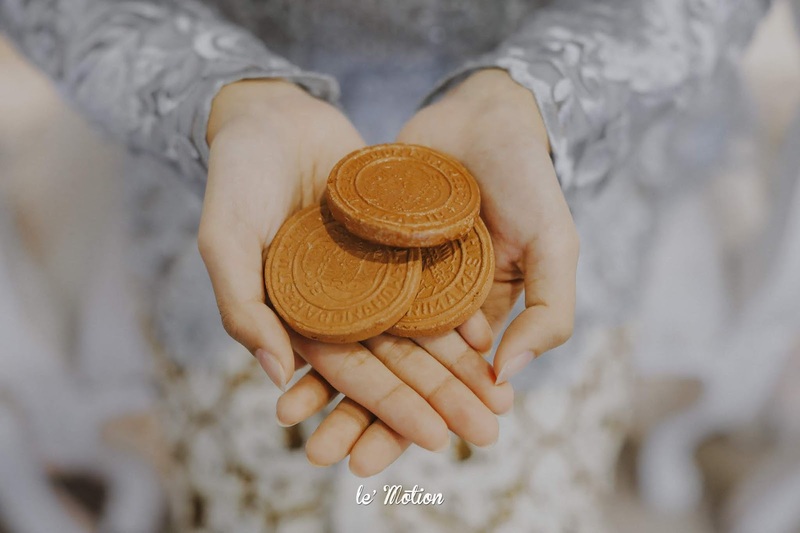 How thoughtful is this???! 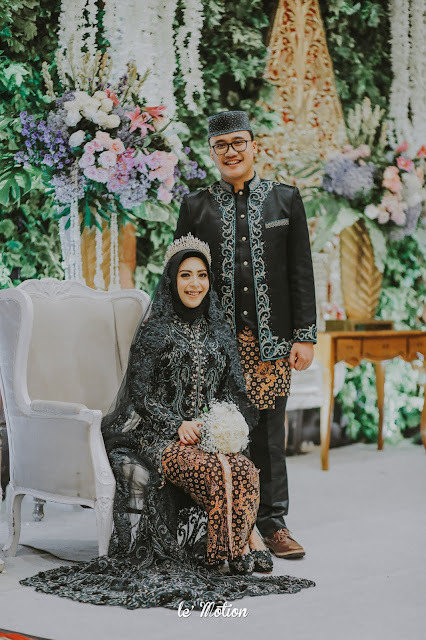 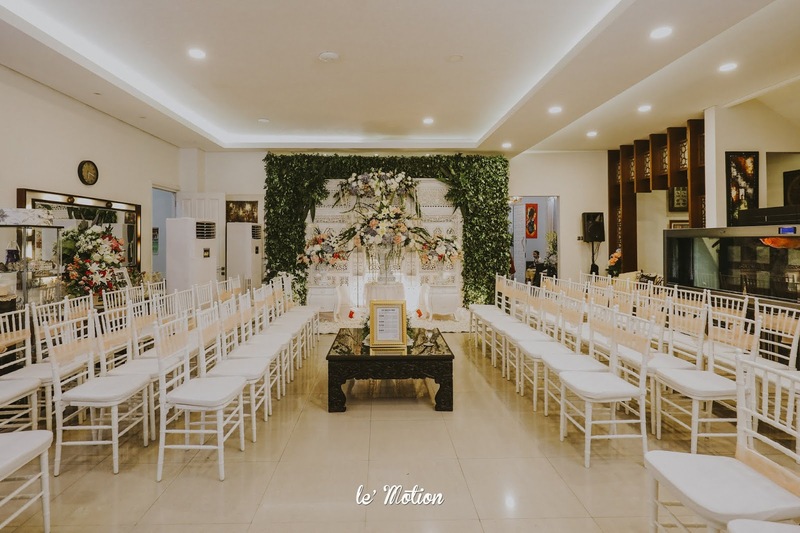 While every other couple think its impossible to steal a private moment alone with your spouse because wedding day is truly the busiest day in one's life, Ita & Arif proved that it can be done, with the help from two awesome wedding organisers, Veramo Organiser and Rose Organiser. 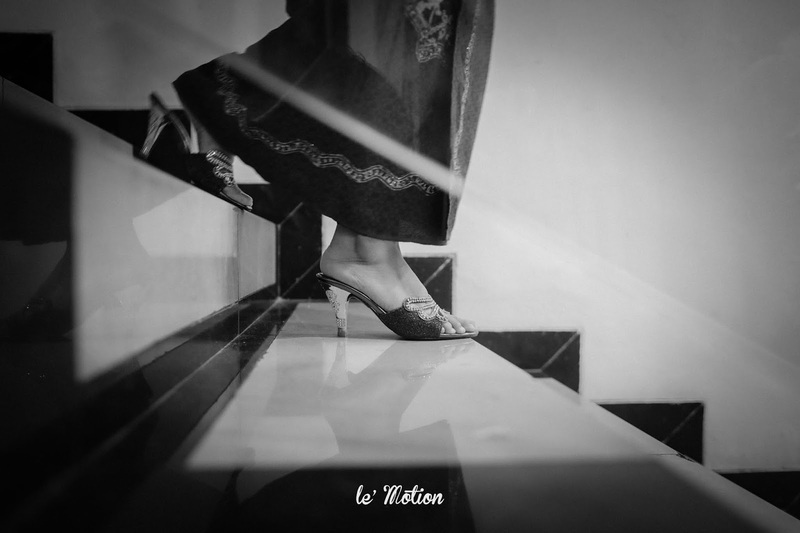 They even let Le' Motion come along to take photos of this incredible session. 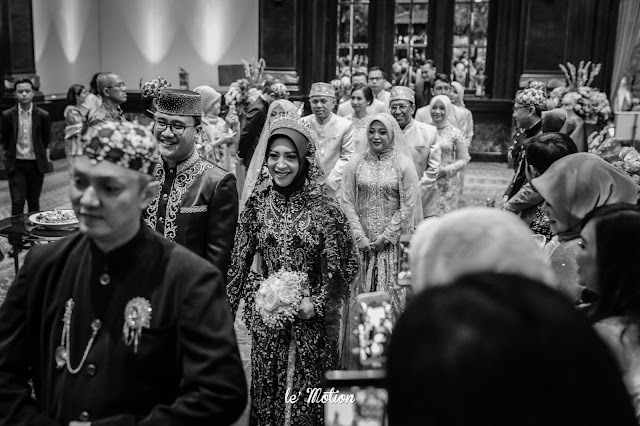 After that, we all made our way back to prepare for the reception. 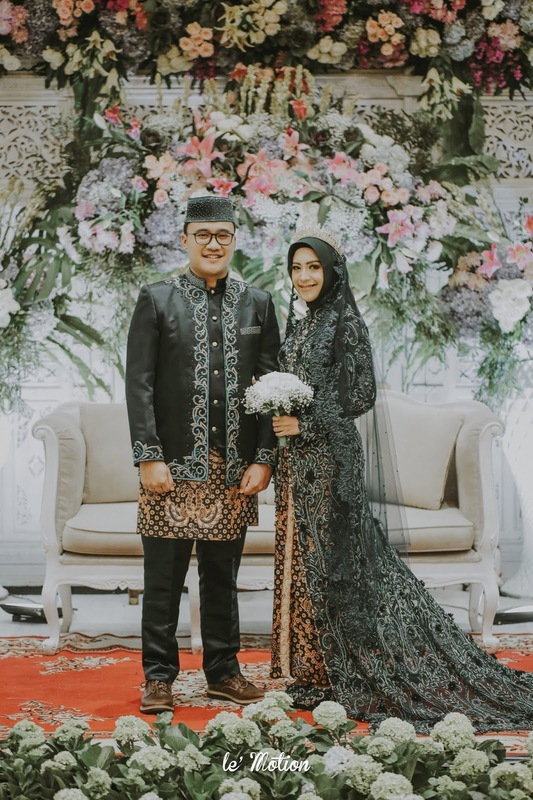 On the reception, Ita & Arif dazzled everyone with their looks. 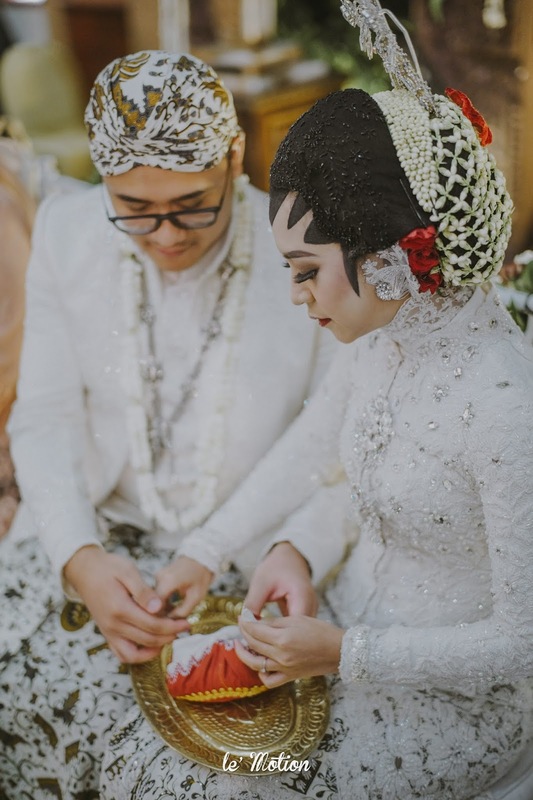 They wore their finest beaded tops in dark blue and matching batik fabrics for the bottoms. 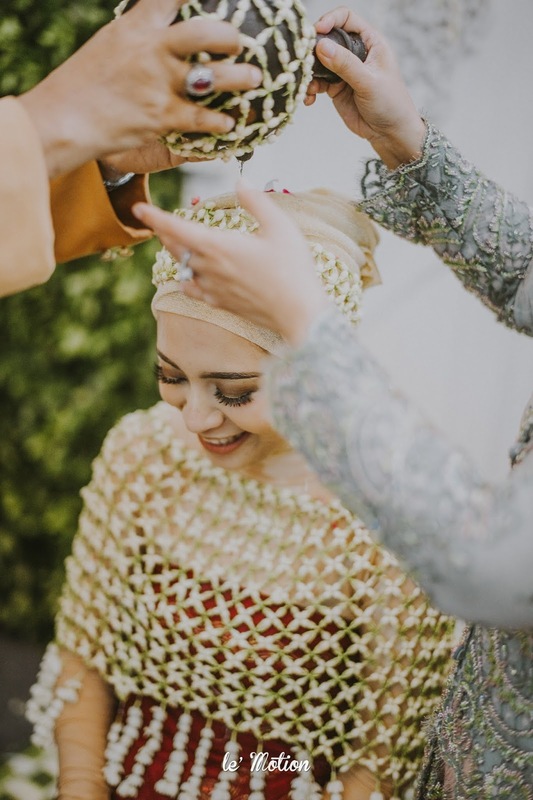 Ita looked like a queen in her sparkliness and her tiara adds up to the fact! 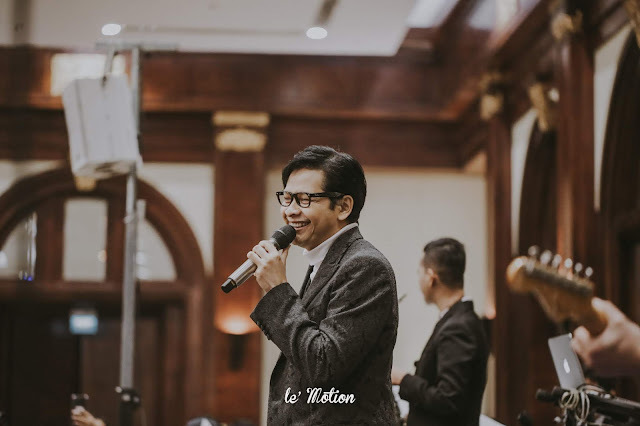 All guests had so much fun at the reception, especially when Armand Maulana as the guest star started singing. 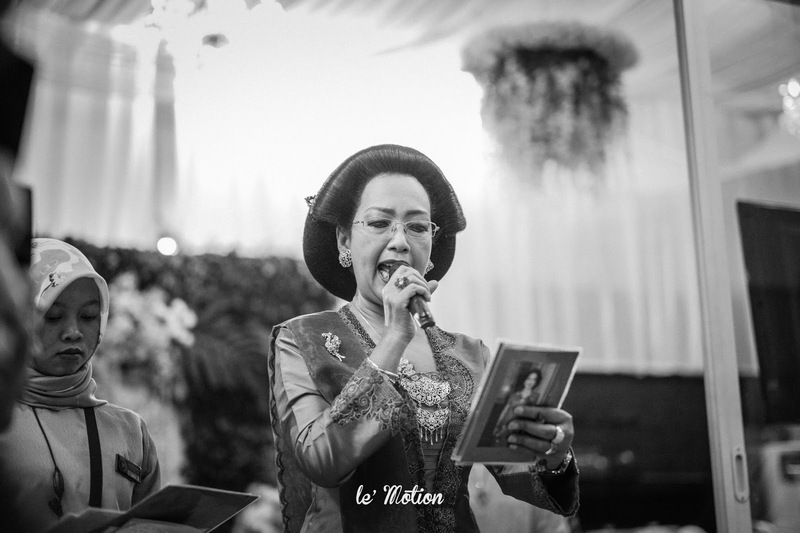 Seeing everyone being well-entertained made Ita even happier because Armand is her favourite singer. 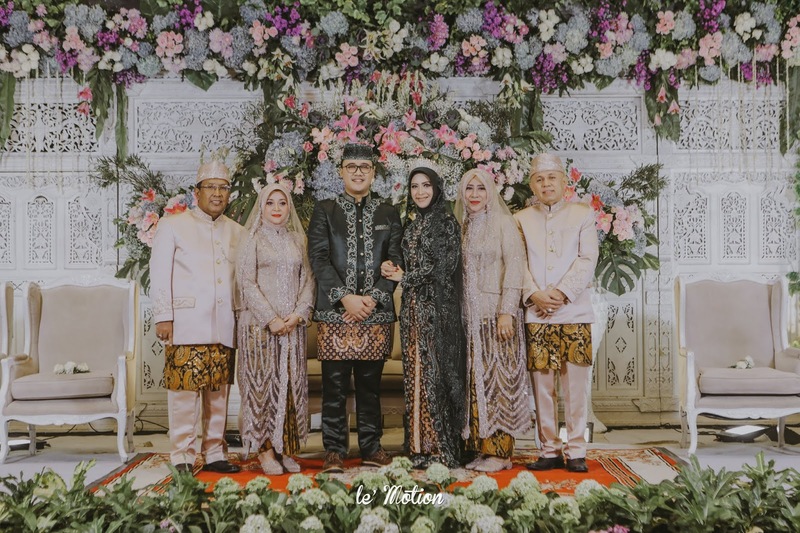 At last, thank you Ita & Arif for making us a part of your momentous stage of life, witnessing the love between you two, the excitement & warmth throughout the day and the joy of family’s coming together. 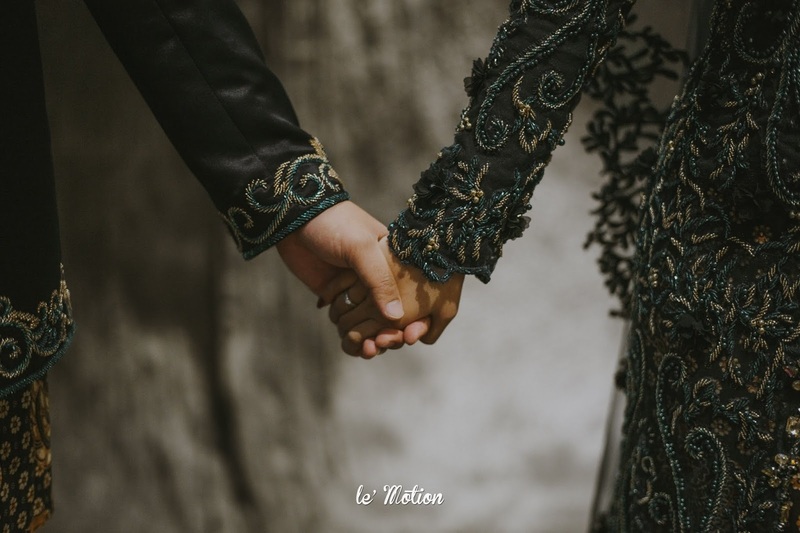 All of the while it was you..."